So there has been a lot of buzz, speculation, confirmation and exaggeration about this internationally-known United States class action lawsuit. Basically, the Lower Merion School District has been sued by a Harriton High School student's family on behalf of all high school students in the district for privacy infringement. All high school students are issued an Apple MacBook for them to use for (primarily) classes, and the MacBooks contain an integrated iSight webcam. The Harriton student was called down to the assistant principal to be disciplined for possession of drugs at home with a picture taken from the iSight as evidence. Turns out they were Mike and Ike jelly beans. The district, in response to these allegations, supposedly disabled the software used to take that picture; the software was supposed to be used to track missing computers. Attorneys were brought in on both sides, news broke out, rumours spread and the situation caught the eyes of the FBI. More on the legal and ethical parts of this case can be found by going to a news site and searching "Lower Merion School District", "webcam" or some combination of those words. I am going to focus on the technical aspects of the case. First off, identify the operating system on the computers. If you are thinking what I am, a red light should be going off, especially if you are a supporter of FOSS. Second, the software, LANrev, has features that enable network administrators to secretly look at any district computer while connected to the Internet from any network. A network administrator by the name of Mike Perbix, who happens to be employed by the school district, produced this webcast (157 MB, contains some PDFs and an MPEG-4 video) detailing the features of LANrev. The webcast goes on for fifty minutes, but this is the part that deals with "theft tracking". With this, no wonder why students are suspicious when the light next to the iSight turns on automatically, and are told by school administration that that is a glitch. The comments section of news articles and videos pertaining to this case, specifically ones that have a school district student/alumnus identification, can shed more light on the ethics. Third, this is mainly for Unix/Linux gurus, but apparently LANrev runs as root. Now that might just be scary. For more technical details, plus some ethics, visit that above link. I have to post in LaTeX! 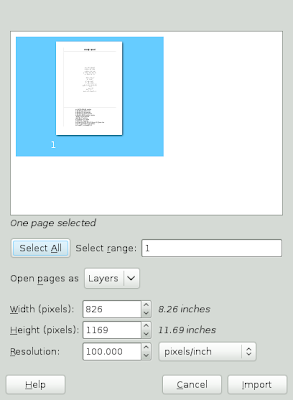 OpenOffice.org only saves in ODF and MathML 1.01. In file /scl/packages/jakarta-tomcat-5.0.16/temp/texmml/texmmlLOGS/mml2tex.log : An invalid XML character (Unicode: 0x0) was found in the element content of the document. If the problem is input related please check your input and try again. Apparently TeX or this specific program does not support Unicode (UTF-8 specifically). It could also be because my MathML source is of the OpenOffice.org-modified MathML. I removed all of the OpenOffice.org stuff to no avail. Select, cut, new, paste, save, upload. Done.